My team and I travelled to Akwa Ibom a few years ago, not because we wanted to, we flew in because we could not get on board a direct flight to Calabar for an event, Uyo was our next best option. It was an awesome trip! 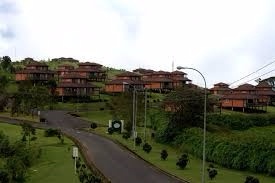 One we later tagged our #SouthSouthVacation as we ended up loving the road trip and spent a few days extra just so we could visit the breath taking Obudu Cattle ranch, after exploring Tinapa, walking the unbelievably clean streets of Calabar while eating roasted corn and pear, grilled fish and unripe plantain. This idea was birthed on that trip, coupled with the recent #GrowNaija trend and diversifying the economy we think tourism is one we to go. You can be a part of this by sending in pictures of tourist sites from anywhere in Nigeria, let's share them with our audience and get our tourism potentials out there.